Accept payments everywhere you go. Accepting credit cards while on the go, has never been easier. 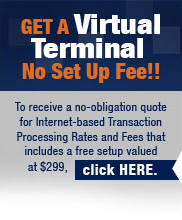 Veritrans offers a full selection of mobile phone credit card processing solutions. Whether you use an iPhone, iPod Touch, iPad, Android, or many other types of smart phones, we can match you with an easy-to-use cell phone credit card processing solution that lets you turn your phone into a terminal on the go. Ideal for mobile merchants, our cell phone credit card processing options offers all of the features of a regular credit card terminal and more, such as the ability to process all major credit cards, the latest security features, online reporting, spreadsheet downloads for accounting, card on file, and much more. Now, you can accept payments everywhere you go. Whether you’re at a trade show, in a food truck, or even in your regular storefront, mobile credit card processing gives you the power to accept credit cards on a device that’s in the palm of your hand!